May I Help you- seeing this board you might just think you would get some help from the Police, but as no one is there in the booth, you know this happens always. 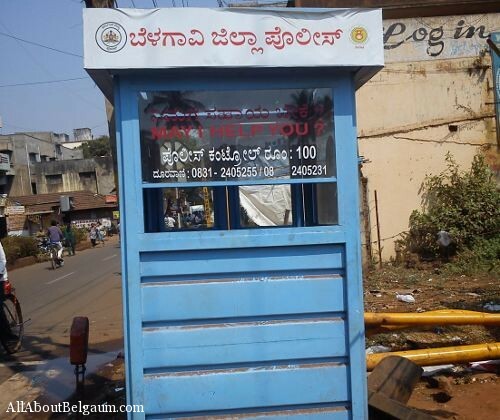 During the Vishwa Kannada Sammelana the city got a face lift and at the same time new Police booths were set up at important places. 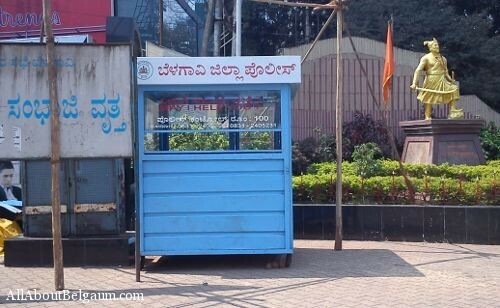 The inauguration of one such booth was done at CBT which now lies inside the CBT premises, when inaugurated it was near the Main gate of CBT but now autos have taken its place and the booth has now been shifted inside the CBT. 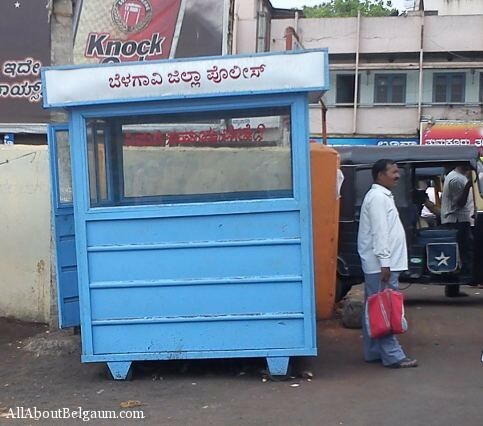 The booths have never seen a police inside the booth, then why were these made and put up, just to scare the miscreants, see we have a police booth. Team AAB has personally never seen any police in the booth at various locations including CBT, Bogarves, RPD corner, Angol circle etc. Why were these booth made only the ones who made them would know?